As reported in JWire, there has been a recent bout of anti-Semitic graffiti in New Zealand. 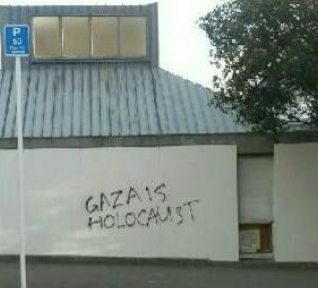 This time, ‘GAZA IS HOLOCAUST’ was daubed on the side of the Holocaust Centre of New Zealand in Wellington. Such a comparison clearly shows the perpetrators have not been to the Holocaust Centre, nor to Gaza, nor had any holocaust education. 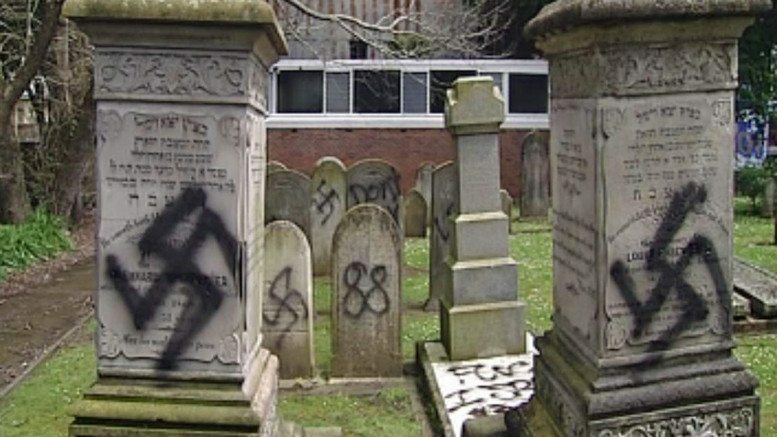 The JWire report shows how this sort of vandalism is not new in New Zealand and is upsetting for Kiwi Jews. Last year, during the election campaign, several of John Key’s billboards were vandalised and some graffiti, such as the 2012 desecration of the Symonds Street cemetery in Auckland, still remains, prolonging the distress.